A man-made cataclysm survivors call The Tilt claimed Jon Streg’s wife and daughter. Having nothing left, he’s driven to the brink, becoming judge, jury, and executioner within the Free Nation of Alaska. 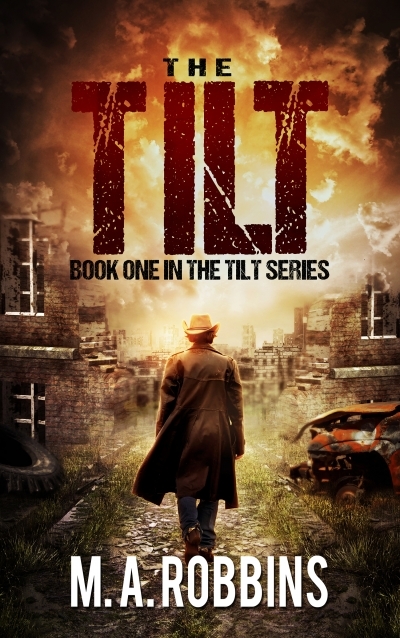 With a taste for rotgut whiskey and deadly gunplay, he learns the man who caused The Tilt intends to resurrect the failed experiment and finish what he started. Justice must be done, even if it means trusting unlikely allies. But will the ticking clock, bloodthirsty mercenaries, and a fanatical madman be too much for this battle-scarred lawman to handle?